45 minutes of free (or £5 guaranteed ticket) stand-up from a comedian who's new on the scene and hoping this isn't all a terrible mistake. Will Hall is 22 and recently found his first grey hair: this is his story. His style has been described as 'anecdotal and observational' so expect stories about looking at things. The Tab called him a ‘bloody good comedian’, while Broadway Baby said he is an ‘upcoming to the likes of [David] Mitchell’. 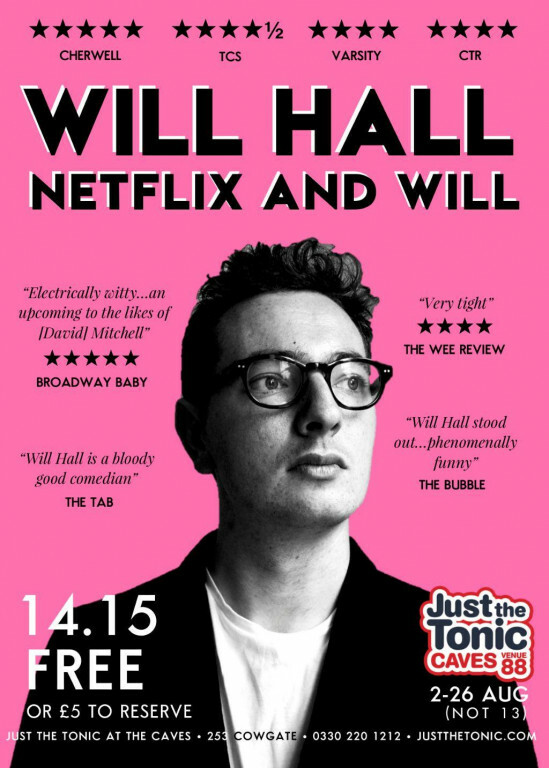 Come catch this rising star at Just The Tonic to see if they’re right or if he really DID pay those reviewers.